The first offering in English by acclaimed Norwegian author Gohril Gabrielsen has just been published by the marvellous Peirene Press, making it their eighteenth title, and the final instalment in 2015’s Chance Encounter series. For those who do not know, Peirene focus upon translating European novella-length works, which would otherwise probably completely pass us by in the United Kingdom. 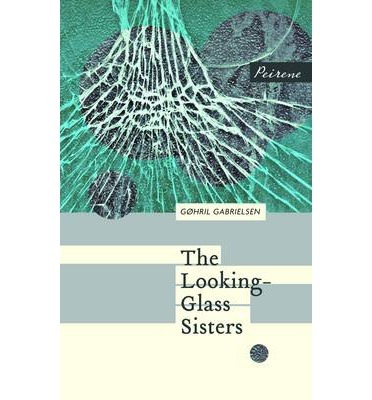 Translated by John Irons, The Looking-Glass Sisters – first published in Norway in 2008 – is a stunning and intense portrayal of the relationship between two sisters. Bergens Tidende, Norway’s fifth largest newspaper, believes that The Looking-Glass Sisters is ‘innovative and sensuous’, and Meike Ziervogel, the founder of Peirene, calls it ‘a story about loneliness – both geographical and psychological’. Here, Gabrielsen presents to us ‘a tragic love story about two sisters who cannot live with or without each other’. Ragna is the elder sister, and has been tasked with caring for her partially paralysed, and thus totally dependent, sister since the deaths of their parents. Our narrator, who remains unnamed, says, ‘I’m dependent on her help and goodwill… But she ignores my cries, does not come, punishes me severely. And repeatedly… I have to realise that we’ve come to a watershed in our relationship as sisters. After our last agonising quarrel, it looks as if she’s forgotten me. I’ve been stowed away like an object among all the other objects up here – discarded and outside time’. The prose style which Gabrielsen has made use of is gripping from the very start. The story opens in the following way: ‘My sister and her husband are outside, digging a deep hole next to the dwarf birch by my attic window… Soon I am dozing dreamlessly, just as hidden as the thing down there in the dark earth’. She uses the simple yet effective technique of going back in time in order to build the contextual information, and to give us further insights into the tumultuous and often cruel relationship between the sisters. The entire novella is deftly shaped, and Gabrielsen’s care and attention to detail mean that one is immediately submerged within the dark, stifling world of our narrator. The very notion of everyday life, and those tasks which we perhaps take for granted, are examined, as are the ways in and means with which our narrator brings herself to cope. The reader is soon called upon to be a participant within the story, rather than merely an overseer: ‘Imagine an attic. Not just any attic, but one in a remote spot in a northern, godforsaken part of the world… You go up there only reluctantly, and preferably not alone – it’s got something to do with the creaking of the staircase… It’s not easy to make it to the room at the top. And it’s even more difficult to come down’. The power of the first person perspective grows: ‘You place your ear to the door. After a moment, you sense some sound of life, not breathing and movement, but a vibration of existence, an unrest that only life can produce… Deep inside, among the dancing white spots, you can make out the contours of a body resting on a bed. And this body, this only just perceptible unrest – it is me’. The Looking-Glass Sisters contains such interesting and original aspects of personality, and builds a cast of characters who feel – often horribly – realistic, particularly in their cruelties. Ragna, for example, ‘is a person you instinctively talk loudly to, long and hard, so as to be heard through the thick layer of resistance’. Gabrielsen’s prose, and those elements which she depicts, are startling in places: ‘Her little heart shrivelled, like the animal hearts in the larder that her sister cooks with cream’. Gabrielsen shrewdly demonstrates that one can be with somebody every day, and not really know them at all. In The Looking-Glass Sisters, she masterfully builds intensity, and weaves in elements of sensuality and control. She shows the hidden strength of our narrator, and sculpts the overriding feeling that people are not always as they may appear. The fact that the narrator herself is never given a name gives a whole new depth to proceedings; despite her lack of identification in this manner, she is still the most human depiction in the entire novella. The stark darkness within the plot, too, unfolds marvellously against the framework of the northern Norway setting. The Mayor of Casterbridge, as well as being on my Classics Club list, is the second choice which the lovely Katie and I decided upon for our Chai and Sheep book club. I adore Hardy’s writing, and very much enjoyed Tess of the d’Urbervilles, but had rather a few complaints about Far From the Madding Crowd (which, incidentally, was our first book club pick). When I began The Mayor of Casterbridge therefore, I was dearly hoping that there were no Bathsheba-esque characters within it. From the first page, I found it a lot easier to read than the aforementioned, perhaps merely because the story here interested me more. I loved the beginning of the novel, and found the twists which it took throughout rather clever; there were certainly very few of them which I predicted. It did get a little stale towards the middle, in my opinion, when it became a touch more involved in the less exciting elements of country life – the price of wheat, for example. Yes, such details have importance of a kind, and I can definitely see why Hardy chose to include them to further sculpt the historical and geographical landscapes amongst which his characters stood. Thankfully, such aspects are not overdone here, as I have found them to be in his other books (*cough* Far From the Madding Crowd *cough*). The sense of place here too does not feel as rigid, and thus allows the reader to make up his or her mind a little more – an element which I certainly welcomed. His use of colours and textures is quite often sublime. It almost goes without saying that The Mayor of Casterbridge is incredibly well written and sculpted. 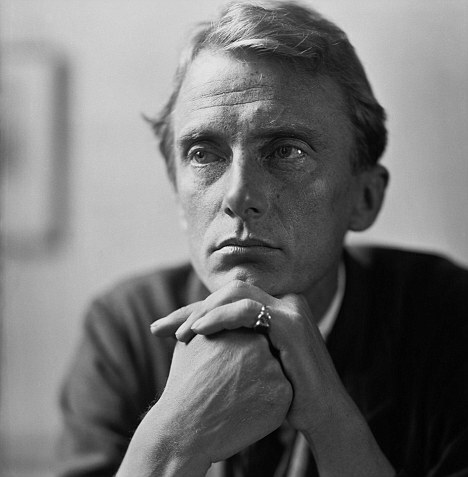 I love Hardy’s character descriptions particularly; some of them here are almost quirky: ‘with a nose resembling a copper knob, a damp voice, and eyes like button-holes’. It feels as though he really did his female characters justice for the most part here; they were not as submissive as some of his other creations (yes, I am measuring everyone against dear old Bathsheba), and had some thoughts and opinions which had – shock horror! – not been moulded by their male counterparts from time to time. 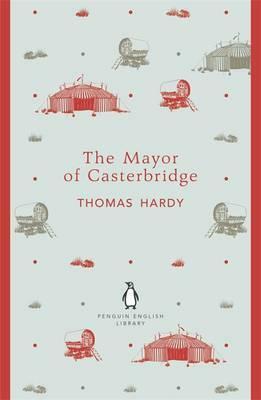 The structure of The Mayor of Casterbridge is both thoughtful and a success; a particularly great element is the way in which he follows different characters from one chapter to the next without losing any threads of the story, or any of the immediacy of the piece.